Do you want to go green in order to help reduce greenhouse gas emissions and global warming? 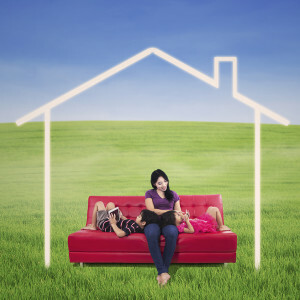 Maybe you want to green your home environment to protect your family’s health. If you’re just getting started, an overload of information can make going green seem overwhelming. Future articles will cover every aspect of green home living in detail. For now, read these basics on how to have a green home … and save green too! Possibly the first, easiest and most important step in going green at home or in the office is using natural, non-toxic household, cleaning and personal care products. Look at the label on every single product in your home. Most standard brands contain toxic chemicals or artificial ingredients. Virtually every item can be replaced with products that contain only natural, non-toxic ingredients. Natural personal care and green home cleaning products are just as effective and more pleasant and healthy to use. Sometimes natural green home products cost more, sometimes less. You may find that a product you believe is more expensive is actually concentrated and goes farther. Eliminate packaged and processed food as much as possible. Read labels on everything in your pantry and refrigerator. Look for preservatives, artificial ingredients and colors, high fructose corn syrup and other sweeteners such as aspartame. Discover and dispose of everything containing trans fat or hydrogenated oil. These non-foods do not belong in a green home. Prepared foods made with all-natural ingredients will cost more than their chemical-laden counterparts. Baking and cooking with natural ingredients does not cost more and does not take that much time when you schedule well. If you have a busy schedule, keep it simple. Replacing packaged foods with fresh fruits and vegetables is ideal. Organic is the most green home food, of course, with more affordable options available all the time. Melting icecaps may be big news, but a warming climate does not prevent droughts and water shortages in many regions. In the face of escalating populations, water conservation is imperative. Without going to extremes, we can save a lot of water – and money! – in our daily usage. By “staying in the present” while the tap is open, we’ll remember to turn off the flow while brushing our teeth, washing our hair, etc. Be particularly vigilant to turn off the hose while washing the car or other outside activities. Replace old-style toilets with low-flow toilets. Low-flow toilets use 1.6 gallons (6 liters) or less, as opposed to about 3.5 gallons – that’s about 2 gallons less per flush. Add up the number of times the toilet in your home is flushed each day and you’ll see how much water you can save with a modern low-flow toilet. Leaking faucets and pipes lose a tremendous amount of water over time. Check for drips and get those repaired to save more water. Did you know that we typically use more water washing and rinsing dishes by hand than a fully loaded dishwasher? Each energy efficiency bulb can help save you money on your utility bills by using less energy. Compact fluorescent light bulbs burn around 5% of the old bulbs and they last 10 times longer. The new LED bulbs can be twice as efficient as the CFL bulbs. They are bright, and last longer too – great for those hard-to-reach ceiling fixtures. The EPA introduced Energy Star in 1992. Energy Star is a voluntary labeling program to help consumers find the most energy-efficient products to protect the environment and reduce greenhouse gas emissions. When replacing your old appliances, look for the Energy Star label on washing machines, refrigerators, dishwashers, and heating and cooling units, even light bulbs and other electronics. These will use less water and less power than your old appliances, saving the environment and keeping more green in your wallet. Heat leaks out of a house in winter and into the house in summer. This runs up your utility bill. 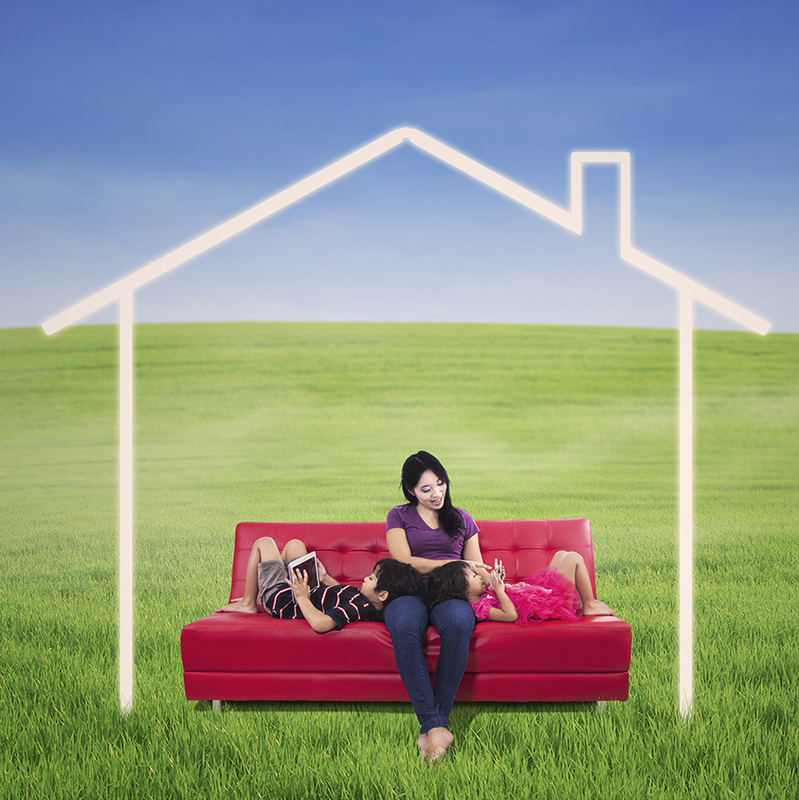 Better insulation is a great way to go green in the home. Major leaks occur in drafty areas like attics and crawl spaces above your ceiling and below the floor. Check your wall cavities, windows and your doors. Any place you can add insulation or weather strips to stop leakage will help your family use less energy and save a pile of green. If you’re building a new home, green building materials and methods are available for every phase. Green home basics generally involve upgrading existing houses, however. When you upgrade, look for non-toxic, environmentally safe green building materials. When replacing flooring or counters, renewable resources like bamboo offer nontoxic, beautiful and durable surfaces. Treated lumber contains toxins like arsenic. Avoid using treated lumber in your yard and garden, especially play areas for for children and pets. REDUCE the amount of every non-essential product, especially plastic packaging. RE-USE what you can instead of throwing it out and buying something new. RECYCLE all your disposed paper, plastic, and glass. If possible, put your food scraps in a compost bin. Instead of throwing out books, magazines, clothing and other household items, recycle them by taking to shelters or the Salvation Army. Your home is where you spend a lot of your income. You want to spend your hard-earned money as efficiently as possible while doing the right thing for your family’s health and the planet. The good news is that making a green home lifestyle has never been easier or more affordable. Every journey starts with a single step. And every step you take makes a difference in creating a sustainable world. Did you find these green home basics useful? Be sure to share them with your Friends! Why Should You Use Induction Cooking System? | Green Home Adviser on What Is Induction Cooking System? Why Recycle? | Green Home Adviser on Why Should We Recycle?